Cutting a rug is not an activity that requires a pair of scissors, or spools of tightly woven fabric that have seen better days. The only things you need in order to leave your mark on the dance floor are reams of untamed inhibition, and a dash of good ole’fashioned rhythm. 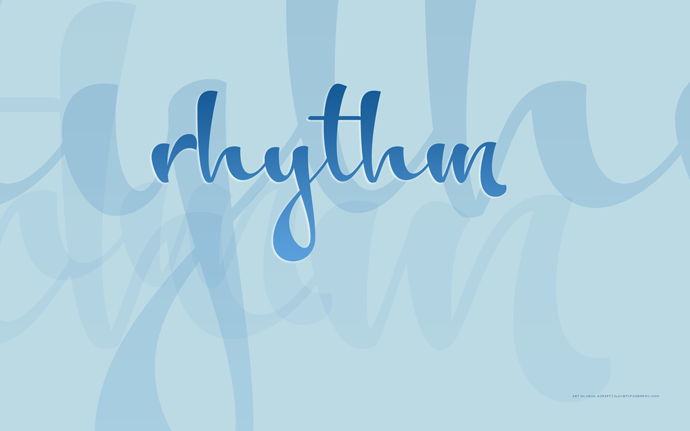 Not everyone’s natural capacity for rhythm allows them to exhibit a well timed tango, however there is a rhythm that everyone has, that when finely tuned, can have you two stepping to better health. The Circadian Rhythm is the internal body clock that regulates the 24-hour cycle of biological processes in animals and plants. With daylight saving time behind us, and shorter days ahead, many people end up suffering from a wealth of complications due to changes in our biological rhythm, and less exposure to sunlight. There are many symptoms to what experts call Circadian Rhythm Disorder, and equally as many remedies that people use to soothe them. Glenview resident Irene Shaughnessy finds that an extra cup of green tea in the afternoon helps her fight the fatigue that comes from the shorter days. Fellow village inhabitant Bridget Carter believes that 20 minutes of outdoor physical activity helps her beat the seasonal blues. No matter what practices you have for keeping your energy up, the sun setting over the Glen’s Naval Air Station tower at 4:30pm, has a way of bringing you down. Here is a list of the affects of Circadian Rhythm Disorder, and a few tips on how to nip the symptoms where the sun doesn’t shine. Insomnia- Sleep is necessary for the reproduction of tissue, and the regulation of hormones. The specialists at the North Shore Sleep Center (2100 Pfingsten rd) can evaluate, diagnose, and treat common sleep disorders. Obesity- Irregular Circadian Rhythm patterns have been shown to affect satiety levels. The longer the duration of irregularity in the 24-hour cycle, the more individuals tend to eat. Take the guesswork out of what you put on your plate, by taking out a little muscle. Muscle Maker Grill, located at 2532 Waukegan rd, caters to the health conscious by serving plenty of low-carb, plant-based, and sugar-free foods, all while posting the nutritional content on the wall for patrons to see. Depression- Disruptions in your body’s timely functions can alter your brain’s regulation of mood. Exercise has been proven to release endorphins, which can improve your feelings of well-being. Get your endorphin rush while tearing it up at Shred415 (300 S. Happ Rd.) Their treadmill based high intensity interval training classes claim to work all the major muscle groups while building a stronger, faster, and leaner physique. Seasonal Affective Disorder-Those suffering from Circadian Rhythm Disorder may also suffer from SAD. SAD is a recurring seasonal pattern of depressive symptoms that may have serious mood altering affects. Bright light therapy, or Phototherapy has been shown to help ease the symptoms of SAD. Shed some light on SAD symptoms by trying a Light Therapy Massage session with Kasia Krupa at Reactive PEC. (www.reactivepec.com). This 30 minute massage combines the use of the safe and effective Bioptron Light Therapy unit, and a relaxing foot and hand massage. Falcon Fit Tip: Biological rhythm disorders can range from mild to severe. Stay on top of your game by recognizing the symptoms, and consulting your physician before trying to remedy any of them on your own.